Writer Natalie Seachrist has had visions since childhood. But the vision of a girl's body draped over a vintage Mustang shatters her personal world when she learns the body belongs to her grandniece. 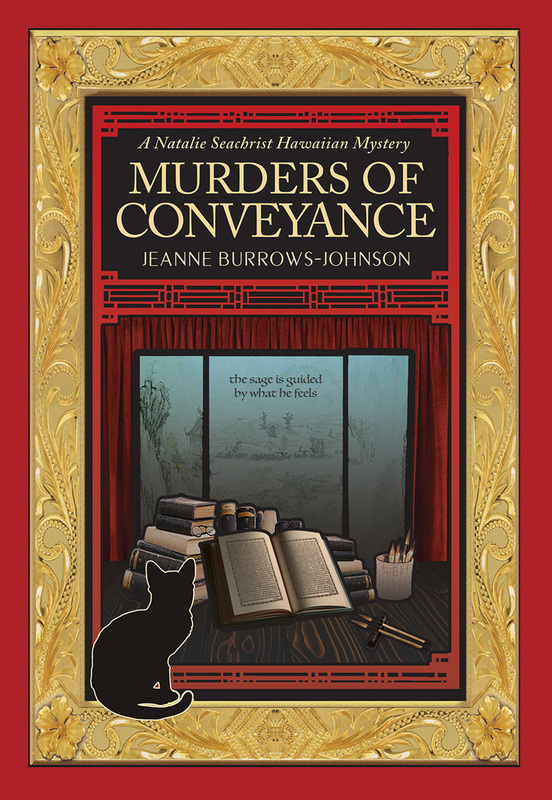 With the help of retired police detective Keoni Hewitt and her feline companion Miss Una, Natalie begins her own investigation at an apartment in the foothills of Honolulu. Will Natalie be able to learn the truth about Ariel's death before the police close the investigation without an arrest? Or has Natalie put herself in the way of a killer who's willing to kill again to hide their secret? Journalist Natalie Seachrist has experienced visions throughout her life. When she has one about a little Jewish girl escaping by boat from Denmark in a murky predawn morning, she has no idea how scenes resembling a World War II movie will impact her twenty-first century life in Hawai`i. 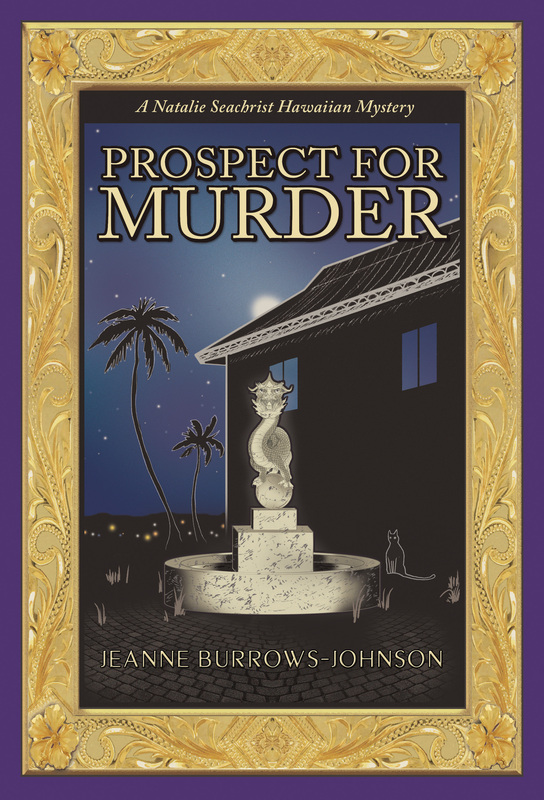 Soon after, she and her boyfriend, homicide-detective-turned-private-investigator Keoni Hewitt, move into the Lanikai cottage she has recently inherited from her Auntie Carrie. The warm welcome they receive from Miriam Didión (a widowed human rights activist) sets an ideal tone for life in their delightful shoreline neighborhood. By the time Natalie throws Keoni a birthday party, she has become close to Miriam and her personable housemates Joanne and Izzy, and their new housekeeper Samantha. Even Miss Una, Natalie's feline companion, has embraced the women who live next door, as she keeps watch over their property each night. Unfortunately, the bliss of seaside living evaporates when Natalie experiences a horrifying vision of a scuba diver garroting a woman. The following morning a body is discovered in the neighbor's maid's quarters and Natalie is forced to reveal her murderous vision to Keoni's former partner, Honolulu Police Detective John Dias. Hoping her unique skills will again prove useful, the Lieutenant asks Natalie and her twin Nathan (a psychologist) to examine the victim's journals. The decades-long commentary proves fascinating although it yields no clues. But when a nefarious suspect's body is found at Diamond Head Beach, the case appears solved. Believing that her life of semi-retirement is back on track, Natalie plans a tour of historic Kawai Nui Marsh. Too soon the day of playing tourist devolves into a nightmare. When Keoni points out the possibility of an unexpected threat Natalie realizes that she and her new friends are caught in the cross hairs of a dangerous adversary. Does resolution of the gruesome murder lie in the deceased's transnational past? Or in the visible present among innocuous seeming companions? The First Annual Aloha Scavenger Hunt is beginning. Journalist Natalie Seachrist, private investigator Keoni Hewitt, and friends Margie and Dan O`Hara are joining in the fun. 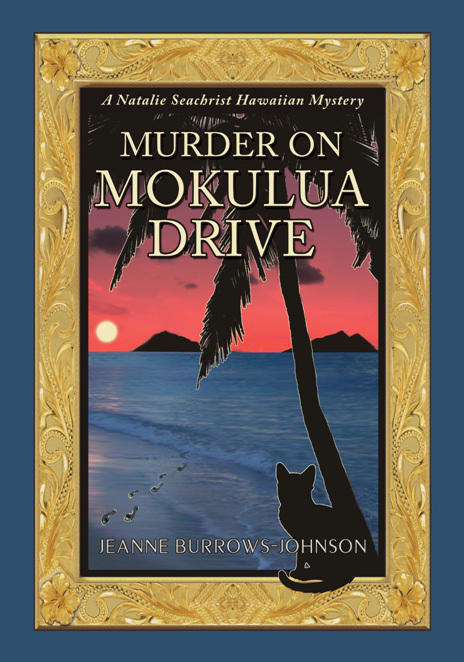 Before departing for their Honolulu hotel, Natalie dreams of a film noire whodunit. Immersed in the action, she finds a man's body lying in a mid-1950s hotel, and watches an elegant woman search an adjacent room. After a murder occurs outside their suite, Natalie advises HPD Lieutenant John Dias that the details eerily parallel her "dream." Knowing the reliability of her unusual gift, the Lieutenant asks Natalie and Keoni to watch for clues to either death as the hunt continues. After more visions, Natalie is convinced that the site of her earlier "dream" was in Chinatown and the perpetrator, a woman in a red suit. A false scavenger hunt clue's allusion to a priceless Kuan Yin statue suggest a cause for the disappearance of a man in the 1950s. Is this the man Natalie envisioned in a narrow hotel hallway? Is his death linked to that of the professor? And what of the false clue's reference to hidden treasure? Are these coincidences? Or, has Natalie's visioning revealed a murderer with long hidden secrets?